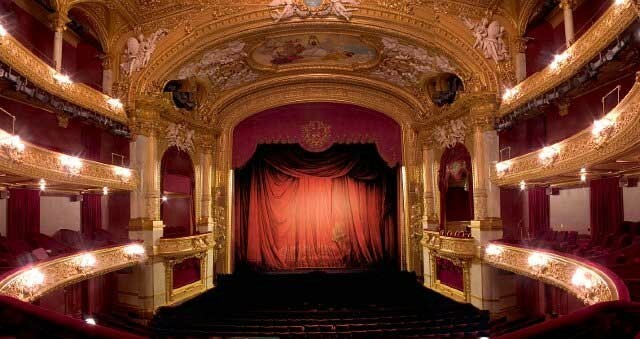 Following the highly successful installation of an AFC3 acoustic enhancement system at the Stockholm Royal Opera rehearsal complex, further Yamaha digital audio technology has recently been specified for the venue itself. An MTX5-D digital matrix now helps to ensure that communication between lighting and video technicians is fast and crystal clear. The installation is part of a major upgrade to the venue’s lighting and video infrastructure, which has included a new control room and consoles. 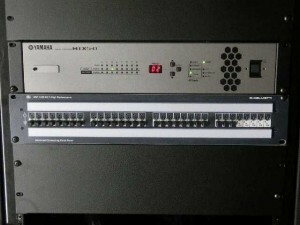 The Yamaha MTX5-D functions as a flexible ‘front end’ to a Riedel MediorNet system, which provides communications throughout the building. Installed by Norrkoping-based Mycon AV, the company’s Åke ‘Myggan’ Wennersten explains why the MTX5-D was his preferred solution. The lighting and video operator each have a talkback microphone, routed into the MTX5-D and then to the communications system, while outputs from the comms and stage sound are routed to loudspeakers in the control room and individual headphone amplifiers. The MTX5-D also allows video operators who come in with material on a laptop to route the audio from it to the front of house mixing console and to the loudspeakers and headphone outputs in the control room. Simplicity of operation is vital, to ensure the operators can use the system without taking any of their attention away from what’s happening on stage. 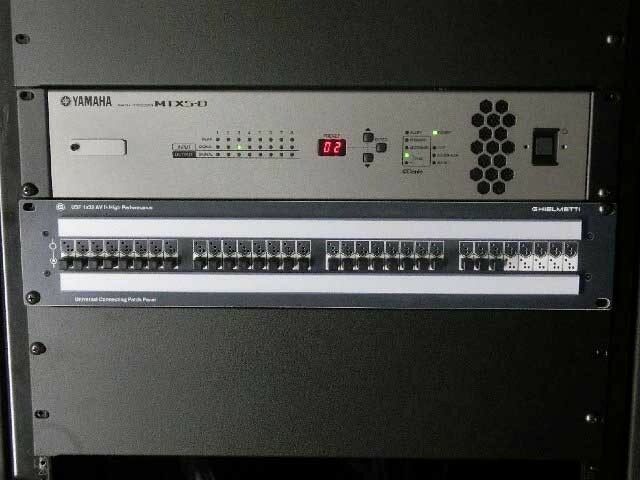 Myggan specified a Yamaha DCP4V4S control panel, which provides independent volume controls for the stage sound and comms system for both the loudspeakers and headphone outs. Four buttons also provide instant mute controls. “I have used a lot of matrix systems and the MTX5-D was ideal for this project,” says Myggan. “With such a high profile venue, reliability was a fundamentally important factor. Having worked with Yamaha equipment for 20 years, I know I can trust it.